Plot with full planning permission for construction of a 1 and a half sotrey 3 Bdrm Detached Dwellhouse. Price over £60,000 Entry by arr. Viewing 07795 995122. We are pleased to offer for sale this fully serviced, residential site located within the popular, rural village of New Byth. Full planning permission has been granted for the erection of a one and a half storey, three bedroomed, detached dwellinghouse. Services are available. A copy of the plans are available for inspection at the Inverurie Office. 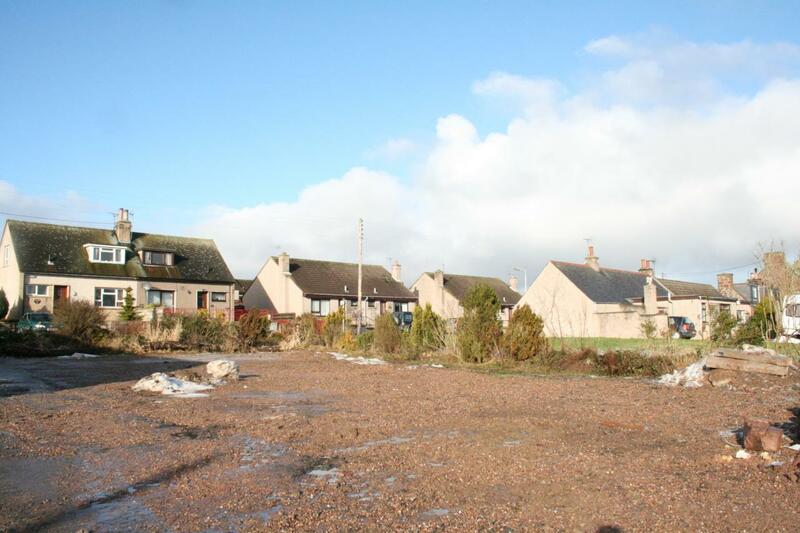 LOCATION: New Byth is a popular commuter village in central Aberdeenshire. Primary schooling is in nearby Cuminestown with Turriff providing secondary schooling. Turriff is located around 8 miles distant and offers a range of amenities and facilities including shops, hotels, a swimming pool, library, sports centre and golf course. TRAVEL DIRECTIONS : From Turriff travel North on the A947 for approximately 1 mile, turning right onto the B9170. Continue along this road for approximately 5 miles, turning left at the junction for New Byth. Proceed along this road for approximately three miles into the village of New Byth, continuing up the hill along Bridge Street then onto Main Street. The site is then situated a short distance along this road on the right hand side of the road. From Inverurie take the B9170 road to Oldmeldrum. At the new roundabout just before Oldmeldrum follow the sign for Methlick, thereafter turning left at the mini roundabout onto the A947 Aberdeen-Banff road. Continue along this road for just over 14 miles, turning right onto the B9170. Follow this road for around 4 miles and then turn left onto the B9027. Travel along the B9027 for just over 3 miles into the Village of New Byth, continuing up the hill along Bridge Street then onto Main Street. The site is then situated a short distance along this road on the right hand side of the road.